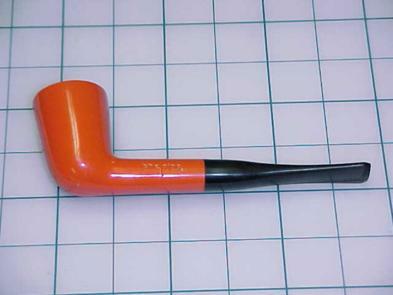 The value of pipe #171 is n/a points. Roy Berlin was at the New York Pipe Club Swap Meet in September, 1999. He had three the pipe, one of which I wanted, but I had to take the other two, Ebony Bulldog and Burnt Orange Dublin, to make the deal. This one went immediately to the Pipes for Sale page until Kurt Sanford took a liking to it and bought it.